More than 100 feet up, higher than Niagara, SNOQUALMIE FALLS spills its namesake river down toward the Snoqualmie Valley, a short drive east of Seattle. The falls, a landscaped park and picnic facility, is also the home of the upscale Salish Lodge. 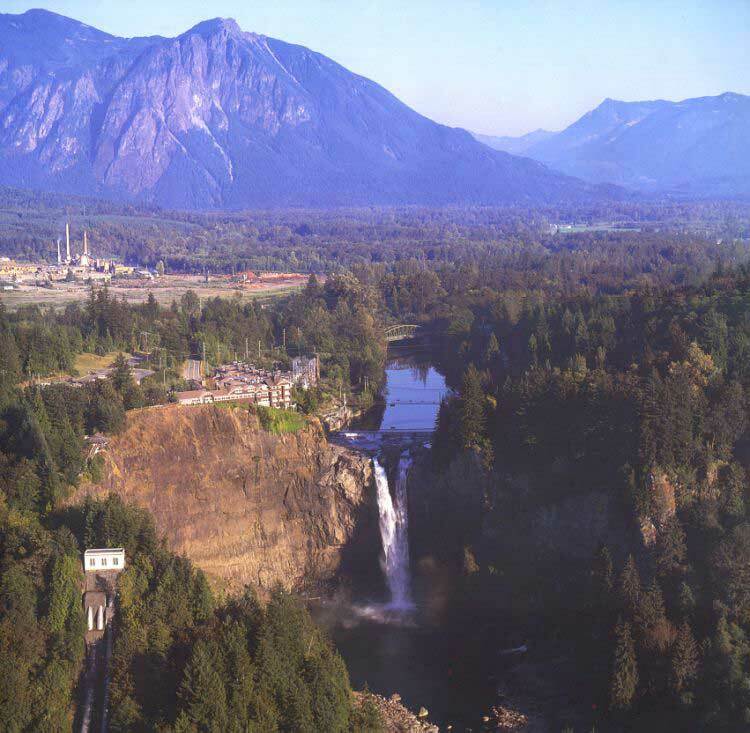 The Cascade range's twin peaks is in the back ground, including Mount Si.